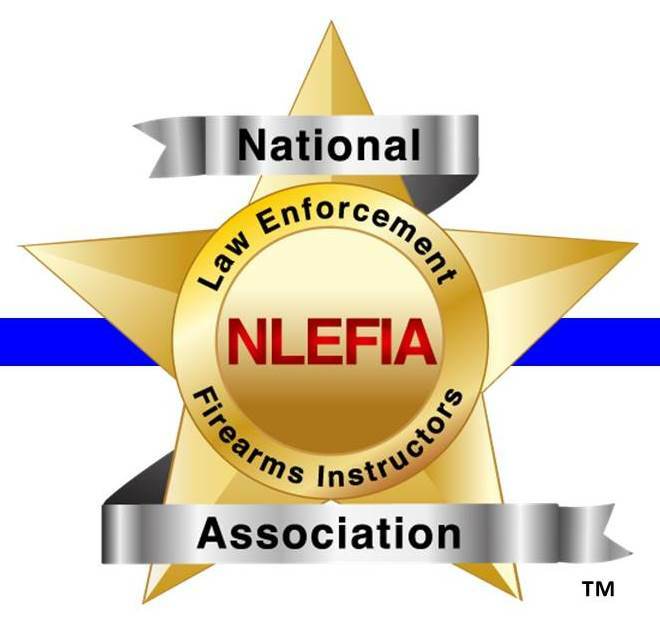 NLEFIA was created primarily for law enforcement firearms instructors. However, NLEFIA is also open to military firearms instructors and professional firearms instructors in the private sector that provide training to law enforcement and military personnel. Therefore, NLEFIA established a clean and meaningful logo that represents the association. The Star: The 5-pointed star was selected because it was the first badge style to be used in US law enforcement history. In addition, the 5-pointed star is a symbol of the military. The five points of the star also represents the five major weapon disciplines used in law enforcement ...revolver, pistol, shotgun, carbine / rifle, and precision rifle. And, with the exception of the revolver, these weapon disciplines are also used in the military. The Ribbon: The ribbon wrapped around the star symbolizes the binding together of association members for a single cause ...to provide the best firearms training possible. The Colors: The 5-pointed star is gold to represent high quality and value. The ribbon is silver for the same reason. The acronym NLEFIA is red because it's the industry color for firearms instructors. The thin blue line symbol behind the star represents the foundation of the association and the core purpose of our membership...to train the guardians of our society and the warriors of our nation.